Pricing for the brand new 2015 Audi TT has officially been announced in Britain prior to deliveries of the German sports car commencing there in December. The car starts at 29,770 pounds. For now, British buyers will only have the option of the base petrol Audi TT or the new TT diesel with the TTS not set to arrive until a later date. Consequently, the entry-level model is the 2.0-litre TDI variant complete with front-wheel drive. 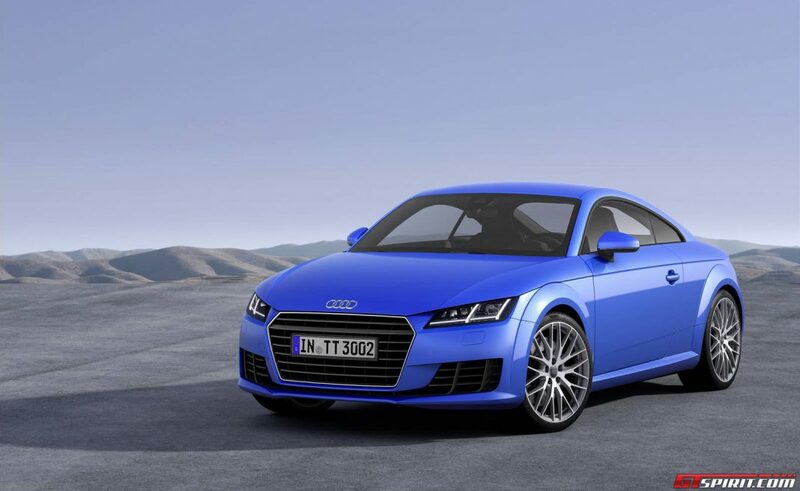 The range-topping car is then the 2.0-litre TFSI petrol powered 2015 Audi TT with a quattro all-wheel drive system. Powering the range-topping car is the aforementioned 2.0-litre TFSI petrol engine. It delivers a total of 227 hp and 370 Nm of torque. It is available with front-wheel drive or all-wheel drive as well as a 6-speed manual gearbox or a 6-speed S-tronic dual clutch. The front-wheel drive variant hits 100 km/h in 6 seconds. As for the diesel powered 2015 Audi TT, it produces just 181 hp but achieves 63.7 mpg in the U.K.
For now, two specification levels for both cars are available. These are the Sport and S Line variants. The Sport models add a host of features including the Audi drive select adaptive dynamics system, 18-inch alloy wheels, keyless go, xenon headlights as well as LED daytime running lights. By comparison, the S Line adds larger 19-inch wheels as well as lower and stiffer suspension.